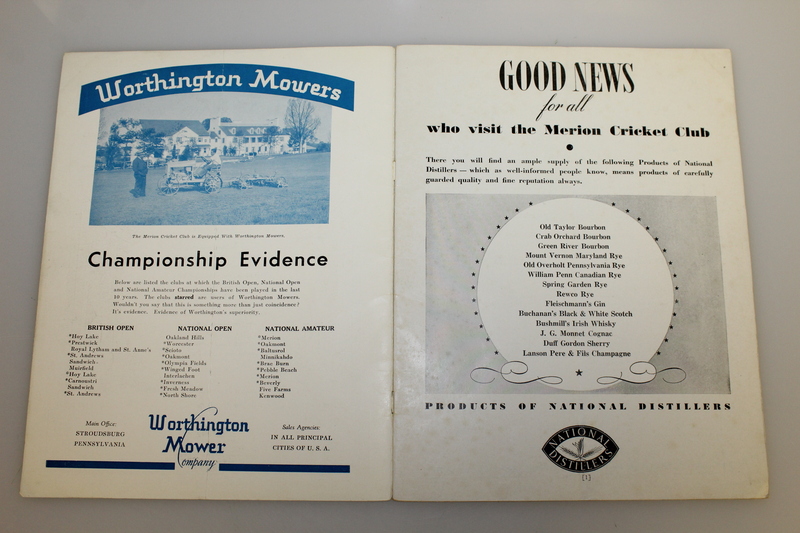 Offered here is a 1934 US Open at Merion program. 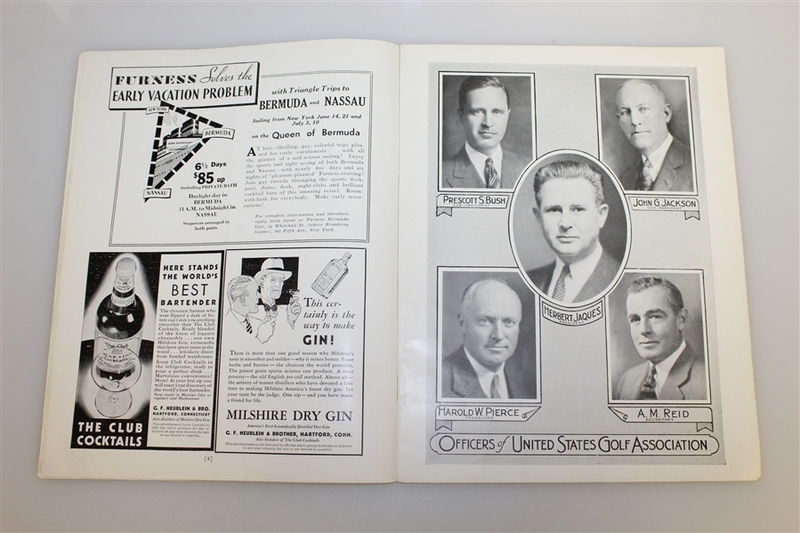 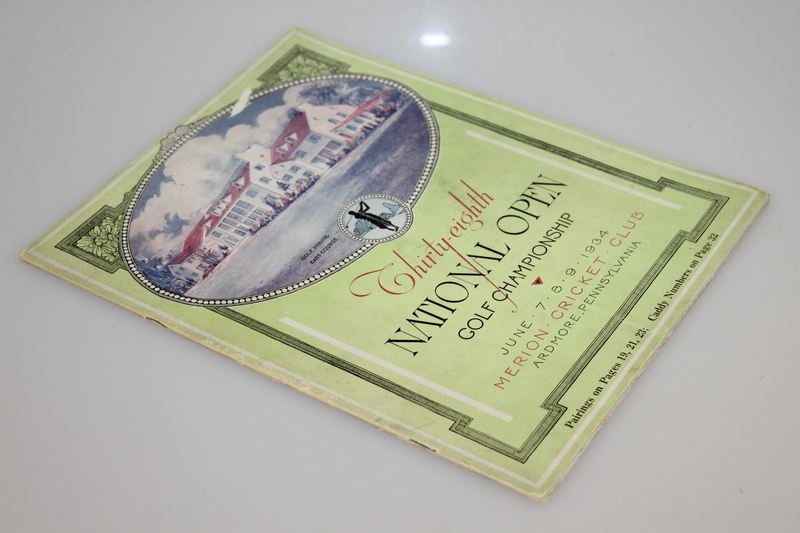 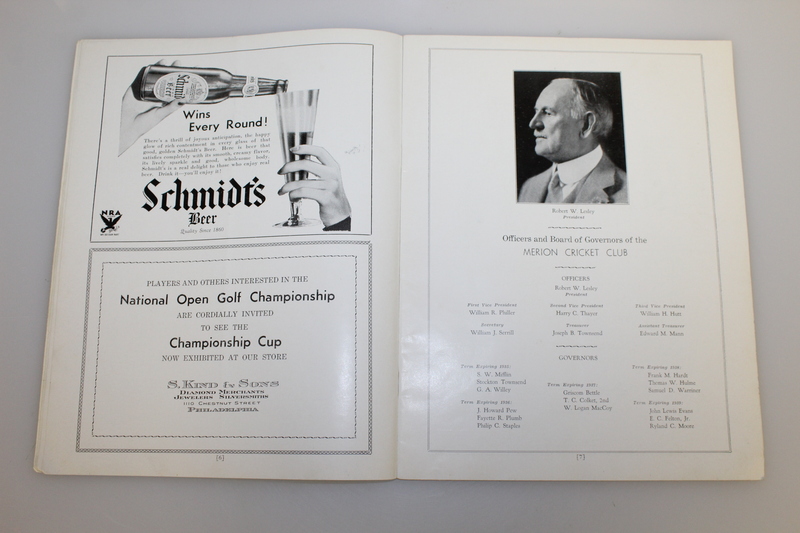 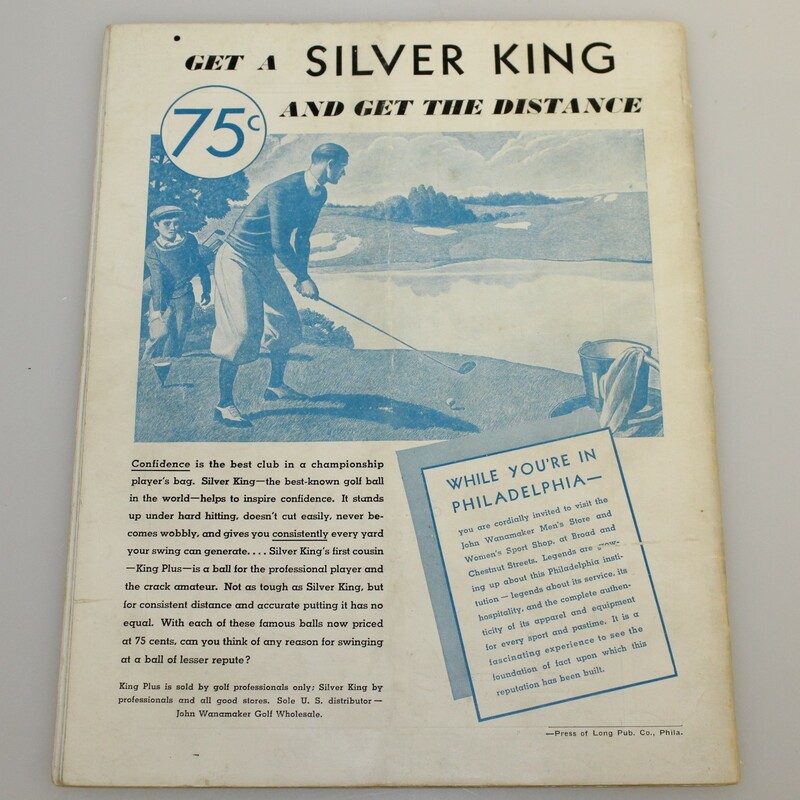 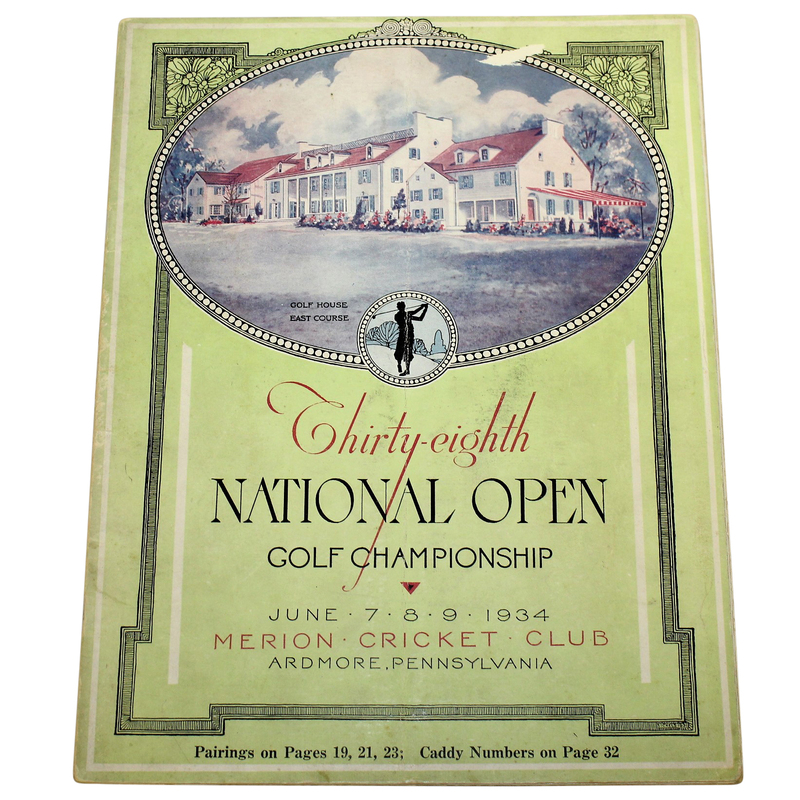 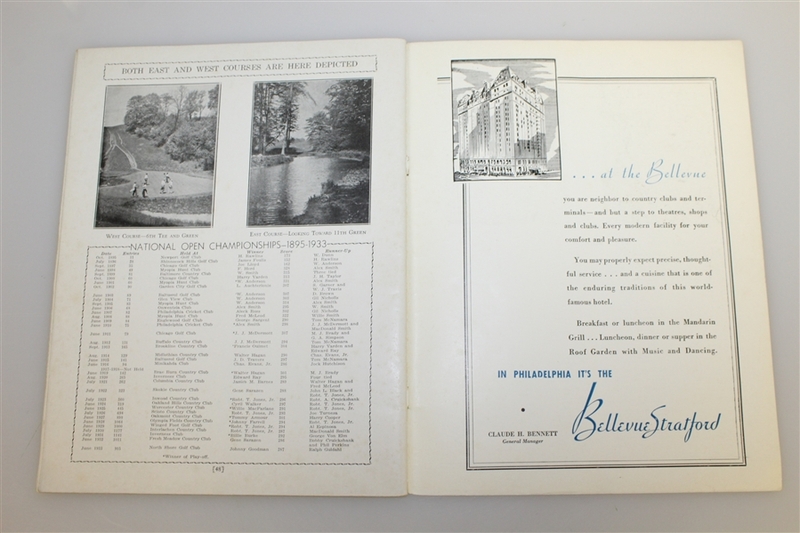 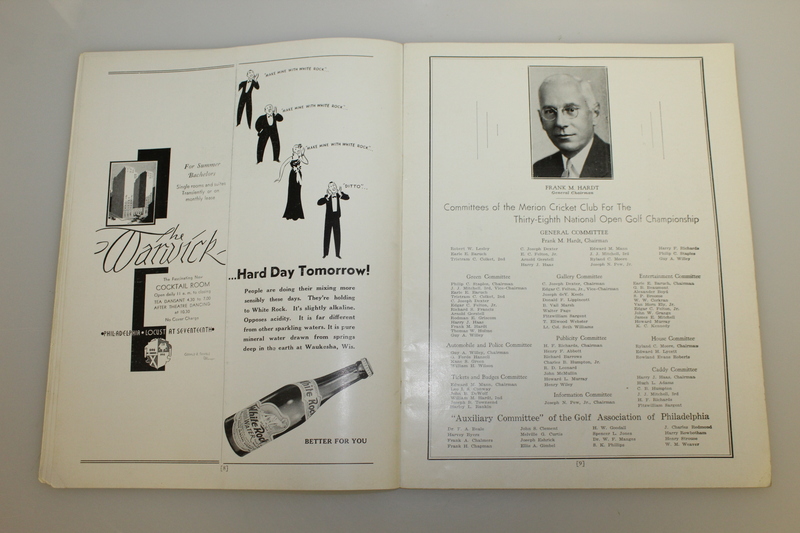 The 1934 US Open was the first contested by the United States Golf Association at Merion and the first year that both Ben Hogan and Byron Nelson played in a US Open. 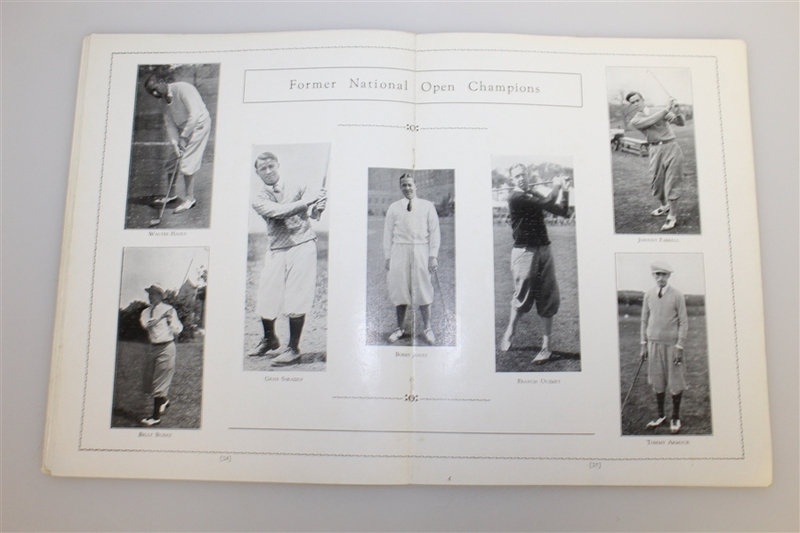 The "Slammin' Spaniard" Dutra came back from eight shots back to beat Gene Sarazen and claimed the Open title. For the 33-year-old it marked his second Major championship victory after having triumphed in the 1932 PGA Championship at Keller Golf Club. 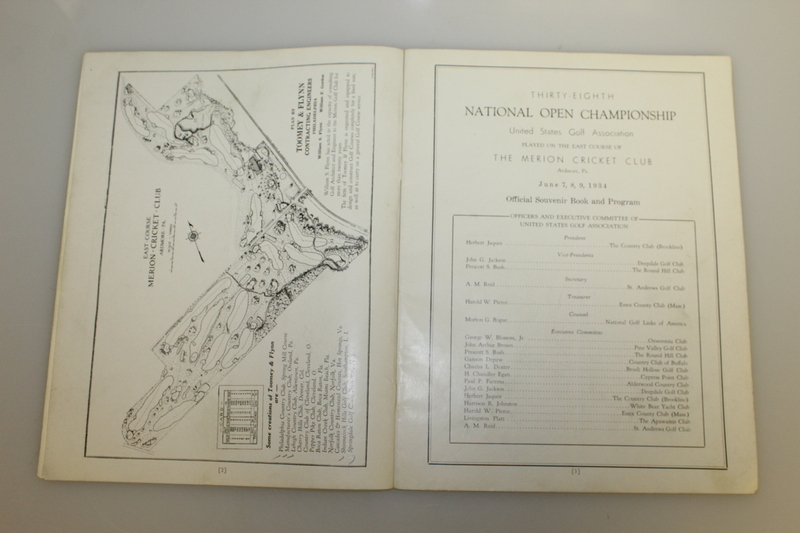 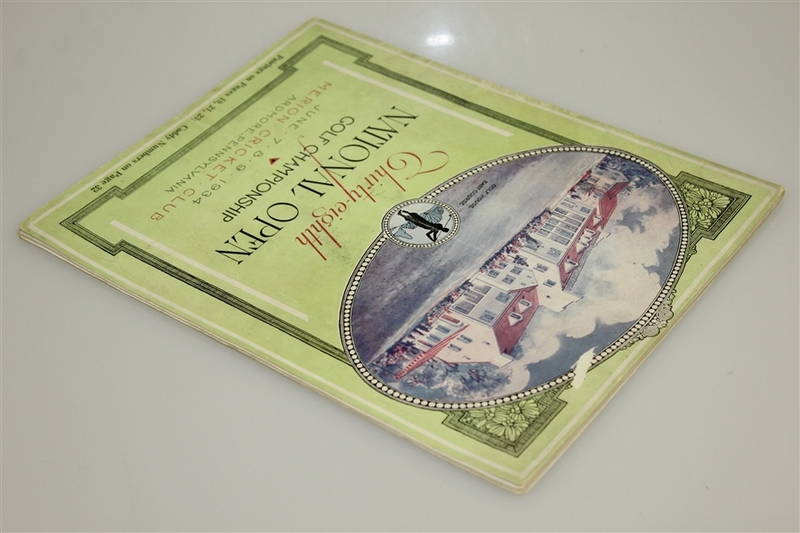 There is a slight center fold line with minimal paper loss at top middle center of cover, otherwise good condition.